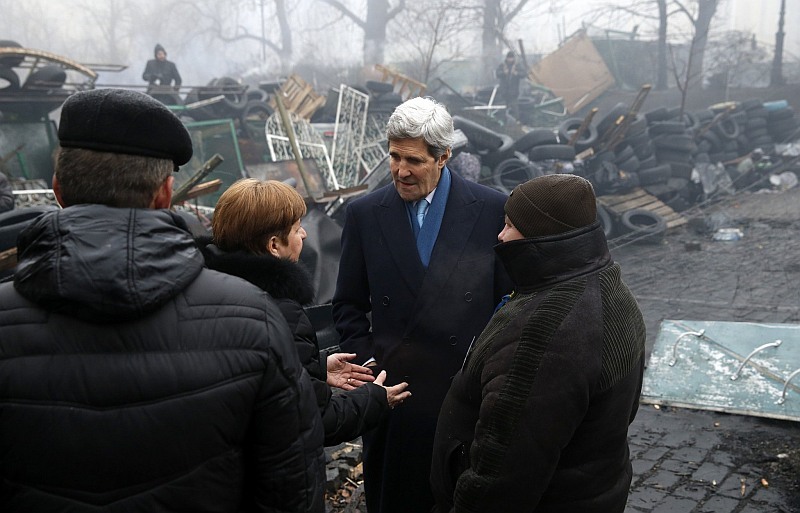 Kerry Comes to Kiev. Forgets Wallet at Home. As expected, John Kerry arrived in Kiev empty-handed. He came to make speeches. Kerry could not even deliver that measly one billion he promised weeks ago: only a "loan guarantee", still to be approved by the Congress. Kerry continued with his threats against Russia, but his agenda seems to have fallen behind the recent events. The EU appears increasingly less likely to join the US in its crusade against the Kremlin. Eurocrats may be willing to go as far as to give the Americans the courtesy of a unified facade, but only in spirit. With just $40 billion in bilateral trade with Russia and no support from Europe, Obama's attempts to isolate Putin may highlight his own political isolation. And any hit taken by Russia's economy as the result of America's "punishment" will be amply compensated by spiking oil and gas prices. Once again the Kremlin moved faster than the White House anticipated. Putin's preemptive bilateral phone conversations with the European leaders; acceptance of Merkel's OSCE "initiative"; yesterday's UNSC meeting; and today's discontinuation of the gas discount deal - everything that happened in the past two days means Kerry arrived in Kiev with an outdated mindset. As he continues talking about the "Russian aggression" and "punishing" Putin, Russia and the EU leaders are already discussing specific solutions. Failing to come up with any concrete financial aid for the struggling Ukraine doesn't add to Kerry's credibility either. Of course, even without money or answers, Kerry's visit to Kiev is a boost to Ukraine's unelected government struggling to polish the veneer of its legitimacy. However, good intentions alone are unlikely to help the US come out as a global leader in this crisis. And should the US Congress finally approve that billion-dollar loan, the money will go straight to Moscow to cover Ukraine's gas tab.